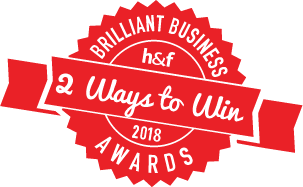 Businesses have two ways to win, either by completing an entry for up to two Judge’s Prize categories, or receiving the most nominations in the Public Vote categories. Judges Prize categories are listed below along with entry forms for businesses to complete and submit to our expert panel of judges. There is no application process. Businesses should encourage their customers to vote for them in one of the three Public Vote categories: Best Hammersmith, Best Fulham or Best Shepherds Bush Businesses to increase their chances of winning. See our advice page to maximise your public votes. Submit an entry and our expert panel of judges will decide the winners. You may enter up to two categories to increase your chances of winning. Download an entry form in either Word or PDF format from the links below. Check out this article for tips on putting in a winning entry. Click category title for details and most importantly what the judges will be looking for in a winning application. The creative sector plays an ever-increasing role in the borough and the number of new and developing creative businesses is expanding. This award will recognise businesses who dare to think differently through their ideas, innovation and creativity. From architecture to advertising, the arts, antiques, crafts, design, designer fashion, film, interactive leisure software, music, the performing arts, publishing, software, television and radio, the range of businesses that can enter this category is extensive. Rate of growth of key performance measures such as turnover, profit and volume. Clear objective setting, strategy and planning. Creative and media start-ups in the borough are integral to the movement transforming White City in to a new Business Innovation District. H&F has a long tradition in this sector, and is a great place to start such a business. This award will recognise those who have taken the big decision to launch a start up, who have built a great plan, and are already making progress. A great start-up business with excellent potential. Innovation and creativity – what’s inspired about your business? Evidence of planned success – that your startup will deliver a service people need. 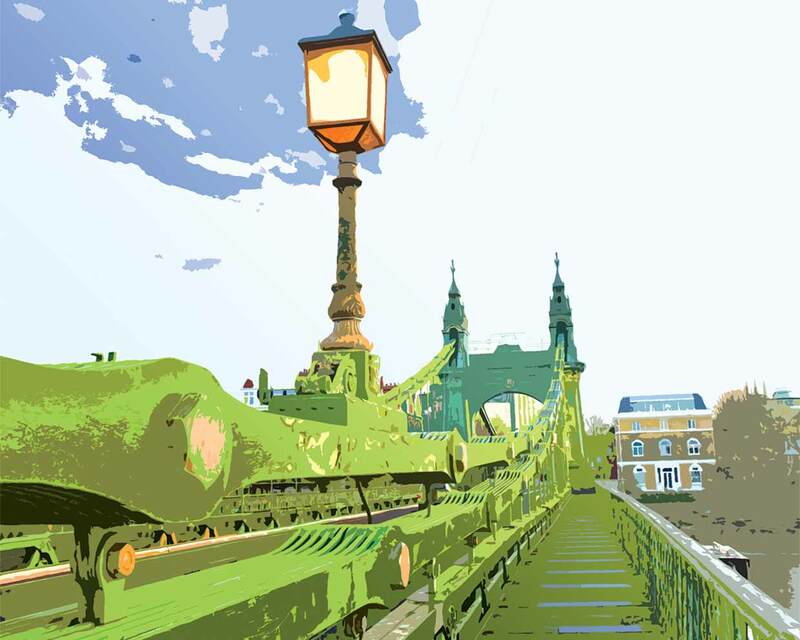 The borough’s vibrant arts scene and creative industries draw people to live and work here. Our arts strategy aims to make H&F a national and international arts beacon, to stimulate more local artistic achievement and to open up the arts to everyone. This award will recognise the great work happening now. Engagement with local communities, going beyond the basics, and really reaching out to grow the numbers appreciating their efforts. A real difference in terms of the offer – something special. Exceptional customer delight and retention – with testimonials. Evidence of staff training and development targeted at enhancing the customer experience. Evidence that the customer is at the centre of business planning and management. A real commitment to continuous improvement. This award will go to the business which goes the furthest to make sure that not only is it a growing and dynamic company, but also that it has environmental sustainability at the heart of its business practice and processes. The could be a company in any sector taking exemplary measures to minimise their environmental impact. A company which ensures a foundation and grounding of environmental good practice is at the heart of their activity. One which continually identifies and implements improvements to green practice, initiatives and policies. An organisation which demonstrates leadership in sustainable practice and is an inspiration to others. Independent High Street businesses are what makes town centres and local shopping special. Are you a treasured local retailer? Do you add that extra something to your location? The winner will be the business who has found their place as a dependable part of the community, and an asset to their location. Success! The business should be profitable and growing. Fantastic customer understanding and service. A genuinely high quality service and product range. Category Rules: Entrants must be ‘independently owned’. This is defined as a business which is substantially owned by its founders and/or a group of independent investors. This award is for businesses that have been trading for less than 18 months. It might be an established product, a new product or service, a traditional concept or a business that has identified a gap in the market. It might be a new shop on the high street. Businesses should be no more than eighteen months old. Revenue and profit growth and/or other evidence of success, or results. Evidence of planning, research, and of having established the business in response to a real customer need. Entrepreneurs are visionaries with ambition, drive, talent and passion. We are looking for an outstanding individual who has identified a market opportunity to create an exceptional business. Strong performance and optimism despite market uncertainty. Awesome drinks! Be it coffee, tea, juice, wine, beer, ale, spirits, cocktails. Hospitality and a great atmosphere. Additional attractions e.g. Free wifi, good food or bar snacks, a children’s menu, monthly events, signature drinks. High quality food, innovative menus, and a commitment to excellence. Hospitality and an amazing atmosphere! The highest of standards in all aspects. Signature dishes or home cooked specials. Are you small but perfectly formed? Are you successful, nimble, responsive, and close to your customers? If you are a business with up to 10 employees, this category is for you. Revenue & profit growth and/or other evidence of success, or results. A strong vision from an inspirational leader. Not-for-profit businesses make a growing and vital contribution to life in Hammersmith & Fulham. A genuine commitment to social objectives. Local engagement – does your work deliver for local people, what difference do you make to local lives? Success – profit may not be the goal, but judges will want to see you delivering against your objectives. Hammersmith & Fulham is becoming a leading place for technology with the new innovation district emerging at White City. The use of new technologies today is key to moving ahead in a competitive market place and producing sound commercial and financial success. Technological innovation and creativity – what’s clever about your business? Evidence of planned success – that your technology will deliver a service people need. All shortlisted businesses will be invited to attend the Awards Ceremony on Wednesday 7 November where the winners will be announced. Completed entries can be returned by email to ross@chartlane.co.uk, post or hand delivered. Further details are on the entry form.